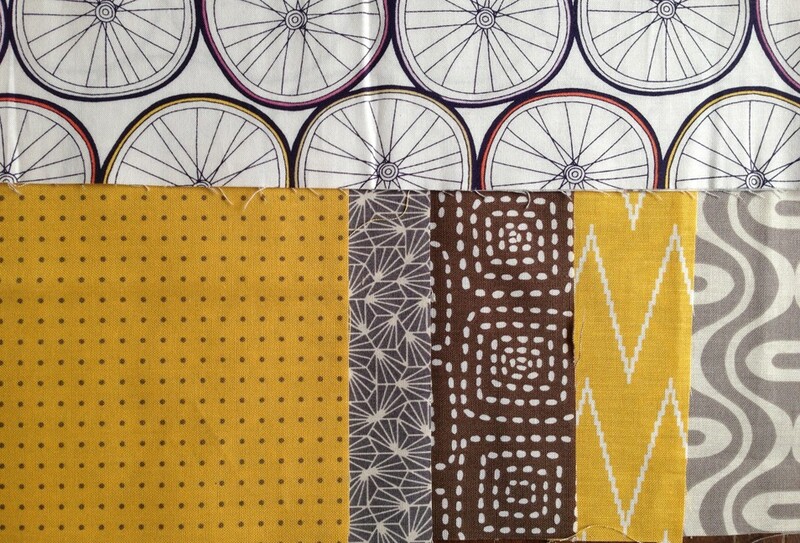 Not really colors I’d ever pick out, but they kind of remind me of my house! Recently, I visited a local Modern Quilt Guild with a couple friends. 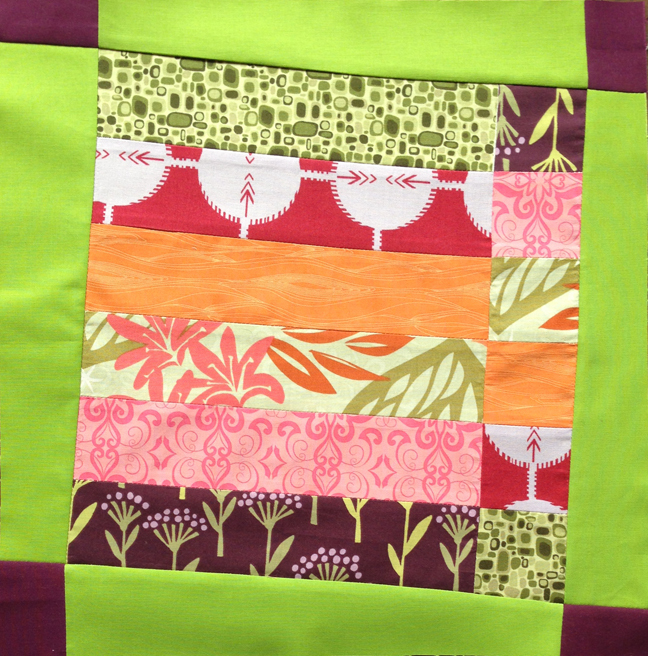 One of the projects that drew me in was a small group round robin block. 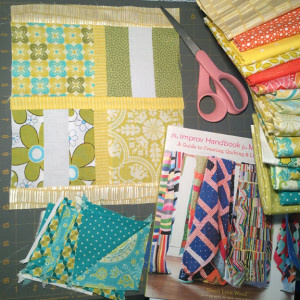 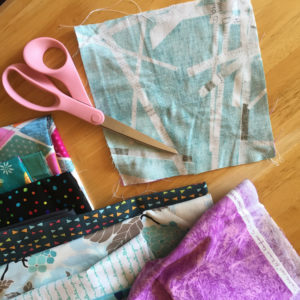 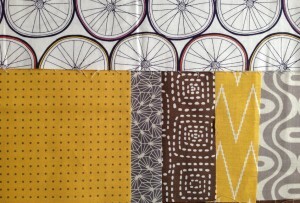 All the fresh fabrics were jumbled like Halloween candy on the table. 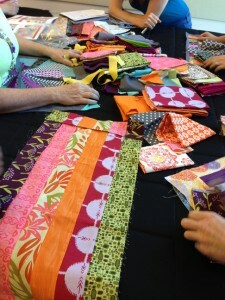 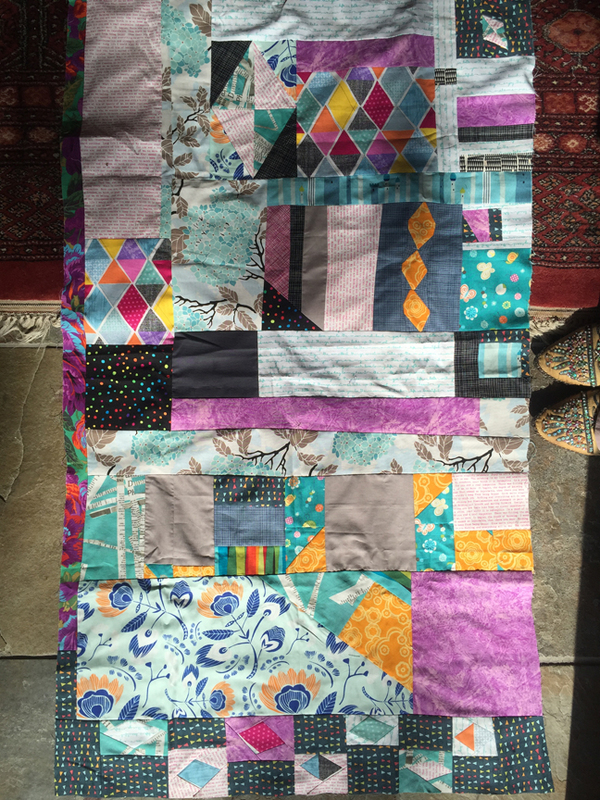 As we were late to this group, my friend & I split the strip-pieced swatch in the foreground. 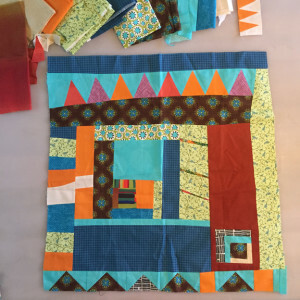 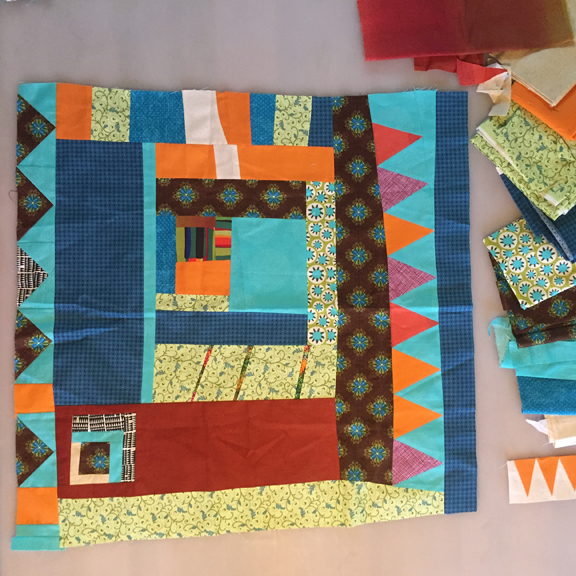 I thought I might slice it up and reconstruct the block like my red striped pillow from last year, but I changed direction and put on a skewed border instead. 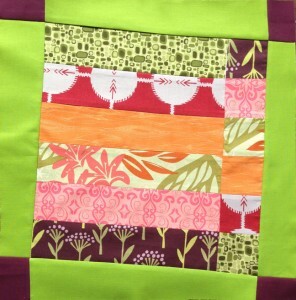 I’d like to work more on the corners, but I like the wonky feel for my first BAM-a-Lot Block.